This article came out in Sunday's (3rd October) New Paper. Haha it's not particularly interesting, but anyway it's about the past 5 New Paper New Face winners and what we've been up to since? Kinda like a reunion leading up to the New Paper New Face 2010 finals this Thursday! L-R: Victoria (2009), Shahirah (2008), Sophie (Hahaha me; 2005) and Nargis (2006). The 2007 winner is Miriam, but she's now living in Thailand so she couldn't make it! Okay this photo isn't very flattering haha. We were told to pick clothes (top & bottom) out from the sponsor (Levis) and Victoria must have reached SPH the earliest cause she was the only one that got the shorts haha. I didn't know bell bottoms were coming back into fashion? I managed to fit into the most skinnies-like jeans; even the straight cut ones weren't slim enough for my liking. 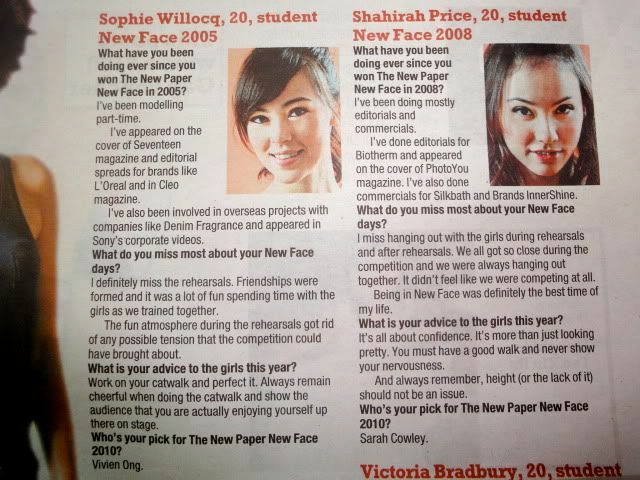 If you're wondering about the "Who's your pick for the New Paper New Face 2010?" part, it was honestly quite random. We simply looked at the photos on the spot and picked those we thought were interesting/nice (and making sure we picked different girls). It's hard to judge without seeing the girls in real life and their catwalk! But of course any of our picks really could have been accurate lah haha. I mean if you really asked us who we would want to win, we would all say ourselves hahaha. Gah wish I could join again! New Face is so fun! 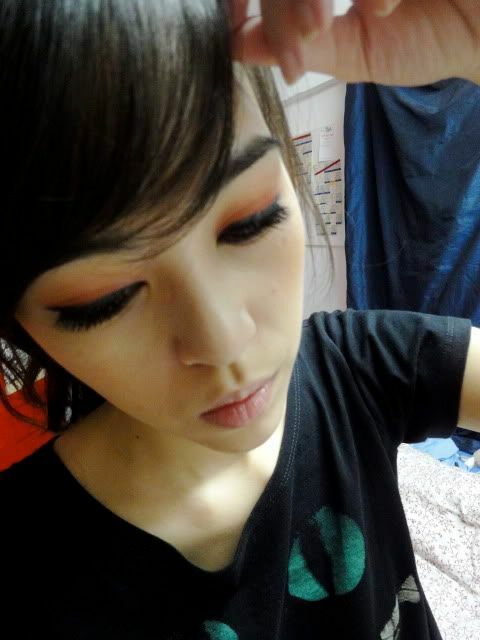 My eyes were actually really swollen that day :( For reasons where if you were my friend you would know ok bye. Haha they had to change the order we were standing in because at first they did it according to year, but Victoria, Nargis and I are all above 170cm (and Nargis' hair adds like another 10cm hahaha) so when Shahirah was in the middle... it was quite funny. And when I was standing beside Nargis, the photographer kept saying I had to tilt my head away from Nargis because if not I would be "adding more volume" to her hair. Even during hair and makeup the hair stylists were baffled as to what they might be able to do with her hair. 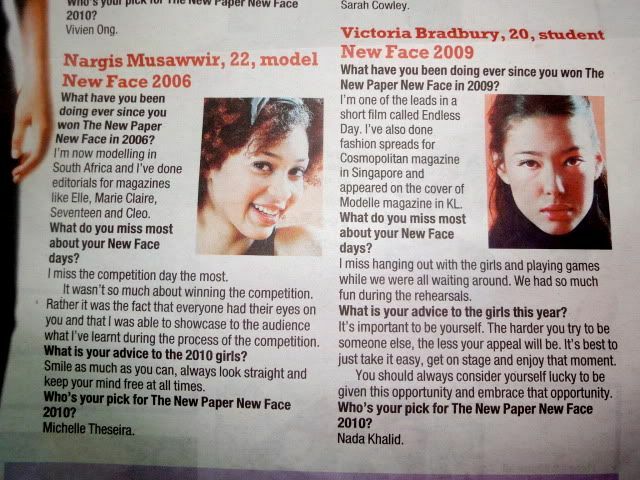 It was mentioned that during her New Face year (2006), Nargis was always the first one ready because she could skip the entire hair stage haha. Okay bra slip I know. This was when were were looking at this year's centrespread and picking who we thought the winner could be. 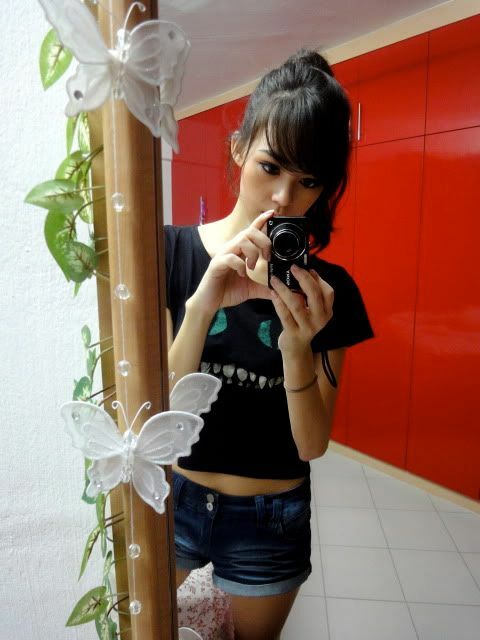 And my grinning Cheshire cat cropped top! I got this from Bangkok. Pink sunnies also from Bangkok. I hardly wear sunnies but I wore that day because straight after the SPH photoshoot I went to the studio for the Clothes & People one. 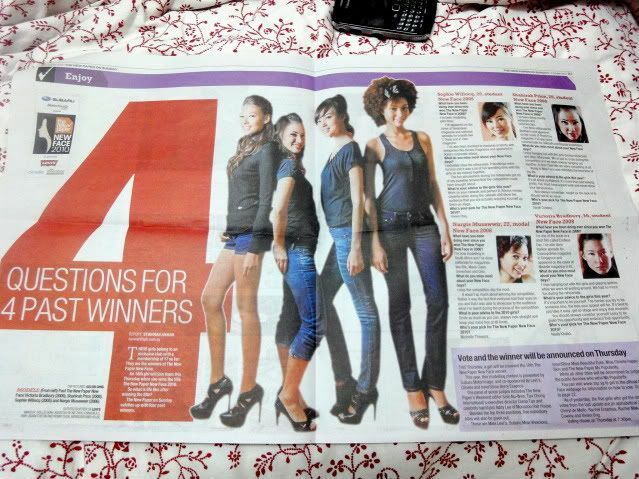 8 comments on "New Paper New Face photoshoot"
this year's NPNF winner cmi??? 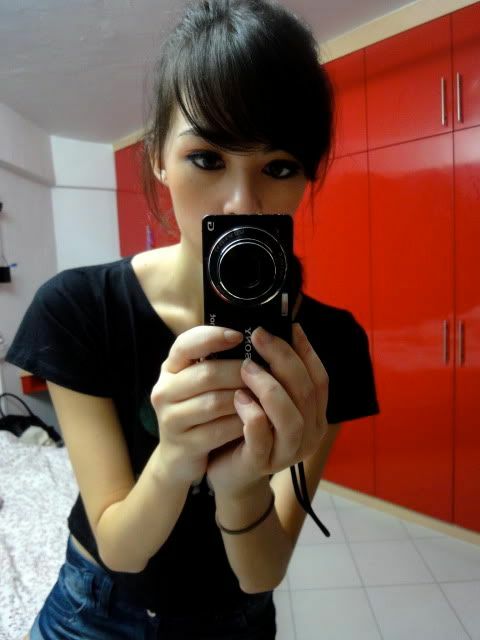 were they trying to break the stereotype of eurasian girls winning always in beauty contests? maybe it's your hairstyle or whatever, but i m starting to think u look like jessica jung. why dont u try this hairstyle? SOPHIE DOES NOT GIVE A DAM. stop talkin to her! u are a freak oppa!